Your pet’s health and safety is our utmost priority. We provide plenty of services to ensure your family member is with us. 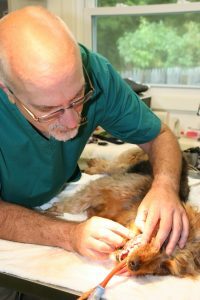 Here are some of the services we use in order to help your pet. Preventive Care: Annual visits are one of the most important things you can do for your pets. Medical problems are often found early and treated before they become more serious. For example, dental disease can cause many secondary problems, including oral infections, heart disease and systemic infections if left untreated. Complete Laboratory: We have state of the art blood analyzers and chemistry machines in hospital to be sure we get rapid and accurate results. This way our patients can receive treatment faster. Grooming: Candy Stricker provides professional grooming services and appointments can be made by calling (609) 272-0700.